Light, playful, and cheery: that’s this Christmas album in a nutshell. It’s not at all religious, so it’s for the whimsical side of the holidays. There are some recognizable standards, but there are also some gems from bygone days – or at least performed in the style of bygone days – and it makes one wonder why those days are bygone. This is some great stuff. 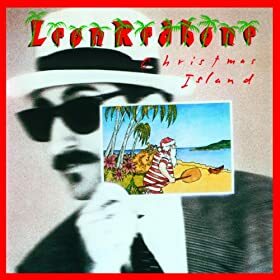 If you don’t know about Leon Redbone, you should. Well, at least his music: he keeps his personal history closely guarded. That’s fine with me. He’s a great artist with a distinctively charming voice and delivery. If you saw “Elf”, he was the guy singing the duet with Zooey Deschanel in the closing credits. Yeah, him. The best track on this collection is the title tune, “Christmas Island.” It’s some toe-tapping, whistle-along, delicious ear candy that puts a tropical spin on the old, familiar holiday. These tunes will all help put a smile on your face for what should be the happiest time of the year. Enjoy! This entry was posted in Ze Rest of Ze Ztuffm on 11/21/2013 by deanwebb. Let me start by saying that Mahalia Jackson and Ray Charles are legends, national treasures. I’ve liked Ray Charles for quite some time and I recently purchased my first Mahalia Jackson CD – the one I’m going to talk about in this post – and was bowled over. Let me be one more voice telling anyone not yet familiar with the work of these two artists that you really owe it to yourself to discover them. With that being said, I’ll give away my findings now: one CD amazed me, the other disappointed. “Mahalia Jackson Silent Night” amazed me. Mahalia Jackson’s CD gave me 16 heavenly tracks. Most of them feature just Ms. Jackson’s voice and sparse, muted accompaniment from an organ, piano, or choir. She owns the music on this CD. Her richness of tone, her diction, her clarity, her range, her presence – all are remarkable, and I treasure these songs as sung by her. The overall feel of the album is strongly religious, with only one song, “White Christmas”, having a secular theme. All the other songs can move a body to tears of joy and praise for the power she puts into them. 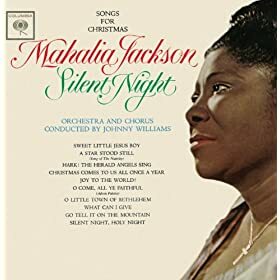 If you’re worried about the commercialization of a holy time of year, play this disc and dispel the messengers of mammon with the angelic delivery of Mahalia Jackson. If you love gospel music, this absolutely belongs in your collection, no excuses. Now for the disappointment. 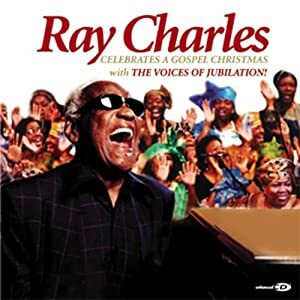 I really wanted to love “Ray Charles Celebrates a Gospel Christmas.” I really did. My suspicions were aroused, however, when I heard a dubbed intro at the start of the CD. Why did that have to be added in? And while I wanted a Gospel Christmas album, only half the tracks could be considered religious. The rest were Christmas standards that happened to have a gospel choir around while they were being sung. Sadly, those tracks simply did not work with the rest of the mix. I enjoyed “What Kind of Man Is This” and “Oh Happy Day”, but the rest failed to get me going, either from a gospel or from a holiday perspective. I’ll stick with other offerings from Ray Charles, but I’ve only begun to discover Mahalia Jackson. If you want gospel music with a Christmas theme, follow my recommendations and you can’t go wrong. This entry was posted in Reason to Live on 11/20/2013 by deanwebb. I bought a membership there because I plan to visit often. This entry was posted in Reason to Live on 11/18/2013 by deanwebb. Saw a show last night in which yet another weak priest voiced a declaration that God would protect the group he was with, only to be growled down by others proclaiming their trust in a particular make of handgun. Why does the weapon industry need to send the message that, given a choice between looking to God or looking to guns, that we should make an idol out of a gun? I have faith in God. Faith is the opposite and absence of fear. One reaches for a gun out of fear. I have faith, because I strive to do God’s work in serving others. I know that I will not be taken from the earth until the work I have to do is complete. Gun or no gun, that is the truth. My commandments tell me to not worship idols. I understand what weapons can do, but the protection they offer is nothing compared to the protection offered by God. Joshua told us to choose whom we would serve. I’m with Joshua. This day I choose to serve God. Put a gun to my head and the choice is the same. This entry was posted in Reason to Live on 11/16/2013 by deanwebb. Why Did I Go Back to Teaching in the First Place? Time for me to continue my exploration into the why behind my career change. Given the level of benefits I enjoy at my current job, and that I would have had similar benefits at IT jobs over the last 12 years, all other things being equal, I should never have returned to teaching in 2002. All things weren’t equal back then, and looking back to that day shows what’s missing in teaching today. Teaching was already in trouble by 2001. It was in trouble in 1991, when the TAAS test first came out. Holding schools responsible for their test results started that year in Texas, and it’s produced 22 years of school administrators gaming the system. It’s also produced 22 years of erosion in academic standards. If students only need to master certain skills and competencies, then only those areas are drilled on, repeatedly and at length, so that the weaker students master those things. The devil can take the average and above-average students, so long as they put out a passing performance on the state-mandated tests. The state can respond by increasing the volume of material required to succeed on the tests, which in turn results in districts reaching for curriculum-by-the-numbers solutions. Set a schedule for a course, and adhere to that schedule like it was a Fascist train schedule. Where a teacher’s professional judgment and background used to be able to make a difference in how a teacher ran a classroom, that discretionary element is no longer welcome in education. Or, rather, if a teacher isn’t moving in lockstep, that’s evidence that can be used against him or her should his or her students take a dip on the mandatory test scores. That makes me have to ask why should the state even bother hiring teachers? Wouldn’t it be cheaper to just hand out a stack of workbooks and tell kids to finish them? Given that the primary duty of every teacher is actually the custodial supervision of minors, why not build schools more along the lines of minimum-security detention facilities and get high-school graduate proctors to supervise the rote lessons? I went back to teaching in 2002 because a teacher could make a difference in the way he or she approached his or her subject. We were free to emphasize areas we had a passion for, and different teachers meant different focuses and styles. Not so anymore. Different teachers means different personalities, but the material has to be the same, across the board. Somewhere between 2002 and 2013, things changed where I was and I found myself doing a job that really should be done by a computer: presentation of material and verification of that presentation via a pre-made subject matter quiz. Children no longer learn. They don’t even memorize. They echo. This entry was posted in Ze Rest of Ze Ztuffm on 11/13/2013 by deanwebb. The disaster in the Philippines has caused my prayers to go towards the people of those islands, but I am prompted to remember the words of Ricky Gervais in the wake of the Oklahoma tonadoes last year. He said, “Praying for something but not doing anything to make it happen has the same effect as writing to Santa & not letting mummy read the letter.” He’s right. Jesus said pretty much the same thing, if you read your Bible carefully. And while Gervais may not be the prayin’ kind, there’s nothing wrong about his generosity. If I pray and lend my faith to help those in hard times, that’s nice. If I pray *and* offer aid, in abundance, then I’m the Good Samaritan that Jesus spoke of. Now I wonder how many prayers the men that passed by the waylaid traveler said. Maybe none, maybe a hundred. The point that Jesus and Gervais make is that they should have done something more than just pray. They should have done something more. There is a statue in Germany, damaged by the war. It is a statue of Christ and his hands are missing. Rather than replace the hands, the people there set a plaque nearby that told everyone, “You are the hands of Christ.” I take that to heart: *I* am the hands of Christ, and so is anyone else willing to feed the hungry, clothe the naked, and offer shelter to the homeless. I’m resolved to do something more in this case. I’ll pray with those that pray, and I plan to donate with those that donate. Whether or not you’re in the first group, make sure you’re in the second, because that’s the one that sees to the prayers being answered. This entry was posted in Reason to Live on 11/08/2013 by deanwebb. So let’s say you just put on Christmas music that you love, but some hipster doofus party-pooper has to say, “Ecch! Who listens to Christmas music?” For whatever reason, he’s wanting to mess up your holiday spirit. Don’t worry. Just let him know you’ll put on some classic Puerto Rican salsa from the 1970s. Drop Asalto Navideño into the mix and Señor de Party-Pooper will think you ditched the Xmas for some regular stuff. Joke’s on him, though. Asalto Navideño is a true classic. Granted, it’s not one that is considered a classic in the English-speaking part of the USA, but English isn’t the only language for celebrating Christmas. And, frankly, it’s entirely possible to get just a little tired of hearing “White Christmas.” That’s why you need Asalto Navideño in your musical arsenal. Willie Colon on trombone and as bandleader coupled with Hector Lavoe on vocals produced some of the best music of the Salsa explosion of the 70’s. How good? Hector Lavoe’s nickname is “The Voice.” When you hear him, you’ll get the picture. Willie Colon’s band is tight and smooth and the music is festive, perfect for dancing, and ought to shut down any Grinch trying to steal your Christmas. He’ll have no clue. And if, for some reason, the hipster doofus party-pooper picks up that it’s a Christmas album and objects, merely respond with a question, “What, do you disapprove of the music of the Puerto Rican diaspora? What are you, some kind of hater?” No hipster doofus wants to be labeled as being “anti-diversity”, so he’ll get right with the parrandas and let the salsa play. I love this set and you really owe it to yourself to seek it out and give it a whirl. This entry was posted in Reason to Live on 11/07/2013 by deanwebb. I start listening to my Christmas music starting the day after Halloween. 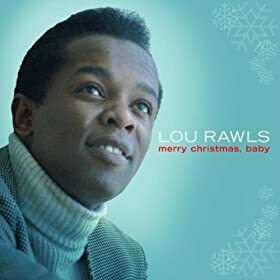 I kicked things off this year with the Fania All-Stars “Asalto Navidad” (more on that in another post), but the next disc I hit was “Merry Christmas, Baby” by Lou Rawls. Even though the temperature outside was a sunny 79 degrees, Lou and the Crew put me in a holiday mood. There’s no question: Lou Rawls has got a golden throat. He’s got some musicians that really cook backing him up, so it’s class all the way. I play this disc straight through, no questions asked (except for skipping “Little Drummer Boy”, the one Christmas standard I simply can’t stand). No complaints at all, so let me get to the outstanding tracks. “Santa Claus is Comin’ to Town” really swings, and I love the big finish on it. “Little Boy Dear” is tender and caring, a perfect song for tucking the kids into bed on Christmas Eve. I love Lou’s “Jingle Bells”, and the a capella “Auld Lang Syne” warms the heart beautifully. But there’s one song that I put on repeat every time I get to it, and I can play it over and over 20 times or more. “Good Time Christmas” is that song. It’s an exuberant celebration of life and that one line, “Mother I know you been prayin’/ The Lord has seen me through” makes me so happy to hear every time because it’s true: one more year, one more time the Lord’s seen me through. Christmas is a time to celebrate, and this song is a song to play at that celebration. Lou Rawls puts his distinctive interpretation on the old standards and I love what he does with them. It’s a great mix that balances fun and reverence, and I guarantee it’ll get your Christmas mood up and running strong from here to December 25th. This entry was posted in Reason to Live on 11/04/2013 by deanwebb.